Thinking of making something creative for your wedding program this summer? Then, we’ve got you covered! Because we’ve rounded up 5 of the best summer wedding program designs that are not just artistic but also functional especially for this summer season. Whether you’re having an intimate outdoor garden wedding or an elegant black-tie ceremony, these amazing designs will surely come in handy. Making your own wedding program is fun and exciting! And it’s practical as well! You also got to have a hold on the first piece of impression that your guests will see when they arrive at your wedding. 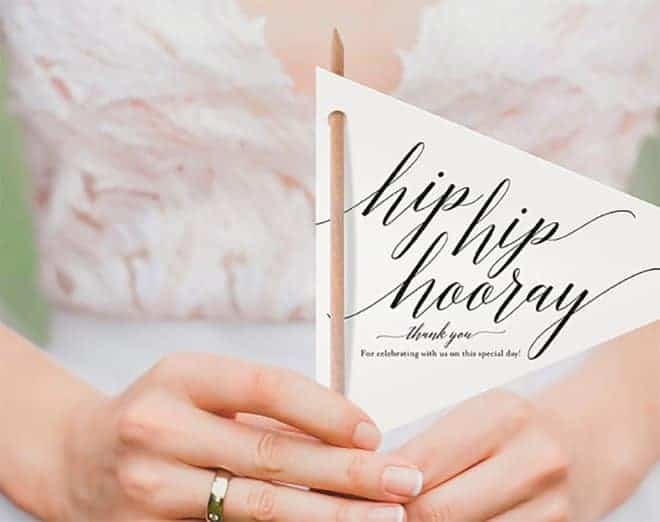 There are tons of designs for wedding programs throughout the internet, that’s why we rounded-up 5 of the best wedding program ideas that fit perfectly with today’s summer season. So without further ado, let your creative juices flow and enjoy creating these amazing wedding programs! 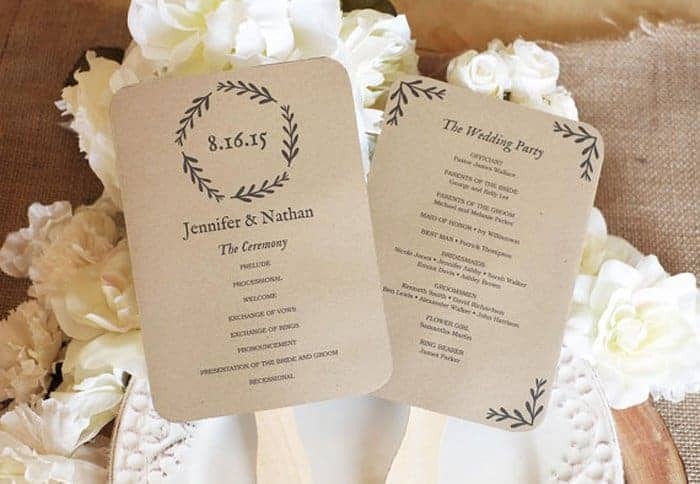 These fancy fans are one of the most popular way that you can design your wedding program. These are best for beach and garden weddings that involve outdoor ceremonies. Both fancy and functional, this design will ease off the summer heat and let your guests focus on your romantic vows. Know more about this one here. Easy to make and fun to prepare! This design is already one great celebratory prop for your family and friends to cheer during and after your wedding. You can mix and match different colors and shapes, anything goes as long as you allow your guests to wave these flags as you prance along the aisle. More about this design here. 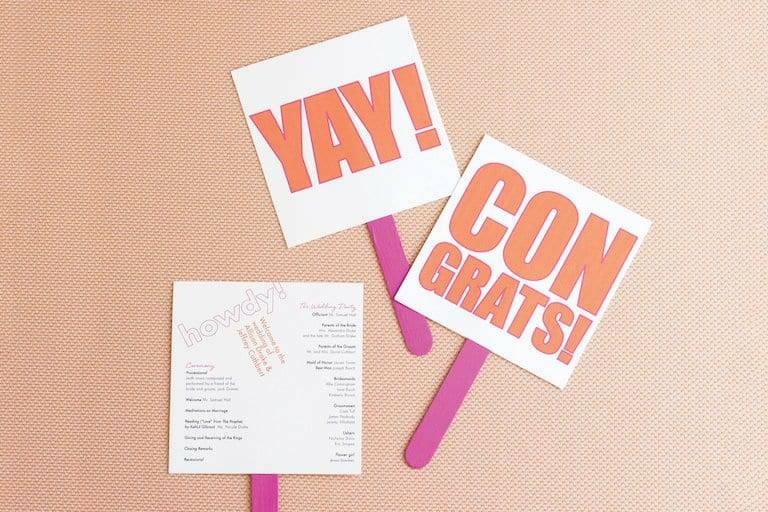 Born from the creative minds that wanted to make everything about your wedding fun and exciting, these photo booth cards or props is definitely one great conversation starter! 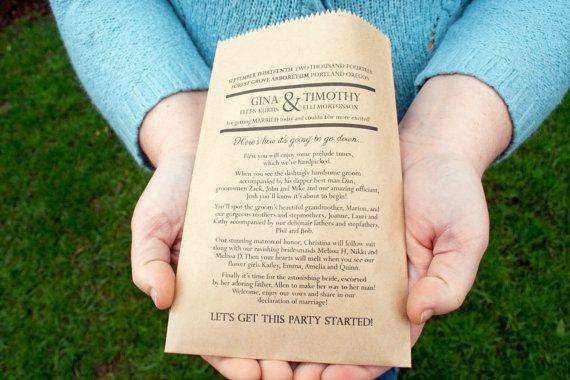 Not only are these wedding programs functional but also a fun way for your guests to interact with one another. I’m pretty sure you’ll thank me later! More about this design here. Is it better to merge two functional things? Well, in this case, it’s true! Printing your wedding program in your favor packs not only cuts your preparations and costs in half but also opens up a whole new area for you to be creative for your guests. Just imagine the possibilities! Learn more about this design here. Your guest will be in for a surprise! These bright wedding programs open up to reveal a pocket filled with dun confetti for a colorful exit toss. Know more about this design here. All you need to do now is choose your preference and consider making everything unique and personal. Don’t be shy to go all out with this one! You can even take it a little further! 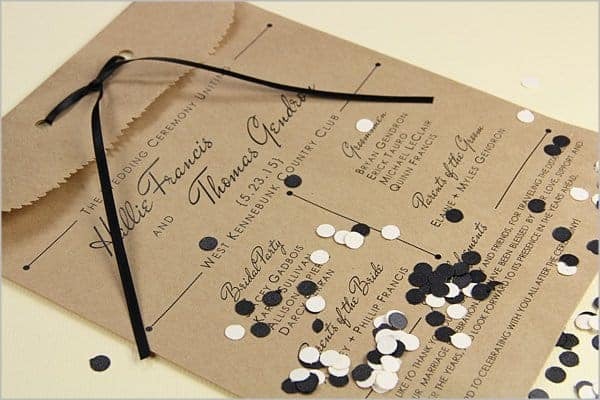 Include new things to represent your big day because your program is an extra memento to keep for yourself. Let’s face it: who doesn’t want a fun and exciting wedding program right? I hope this list helped you in any way.